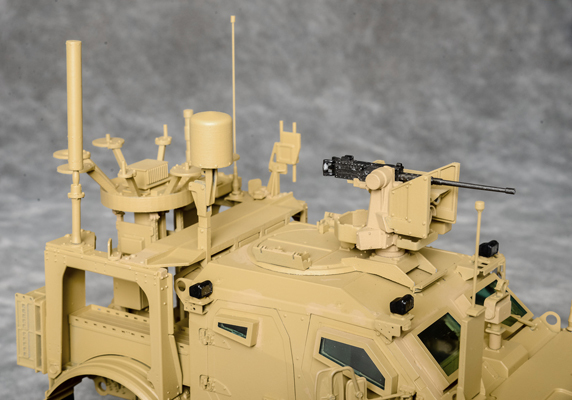 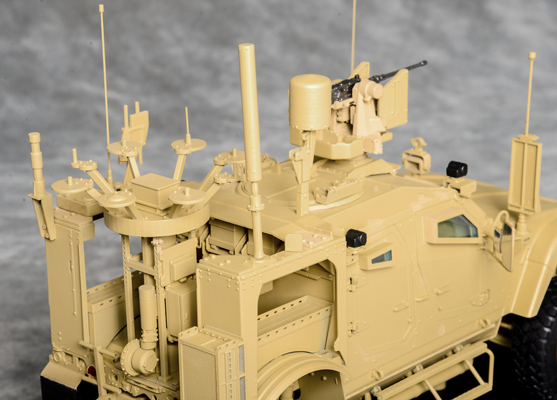 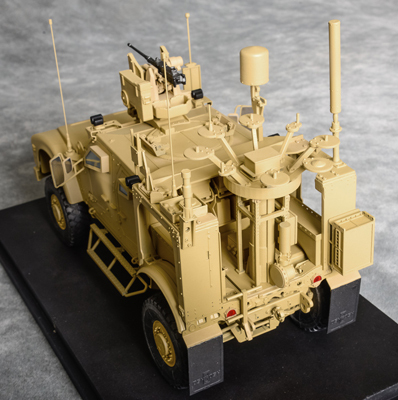 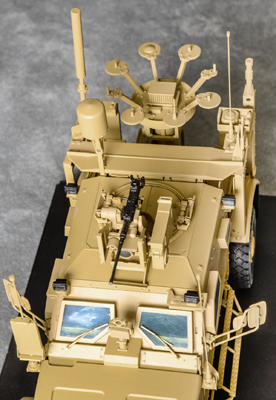 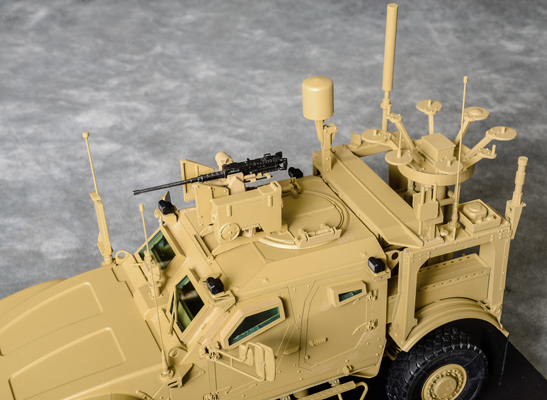 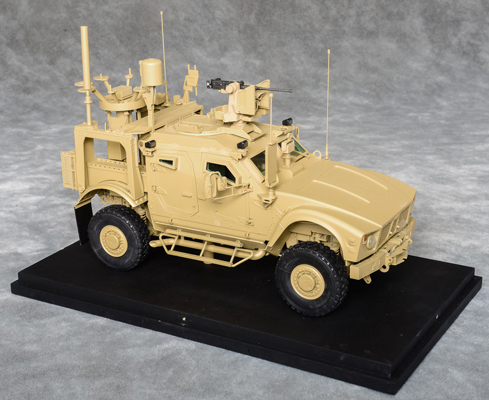 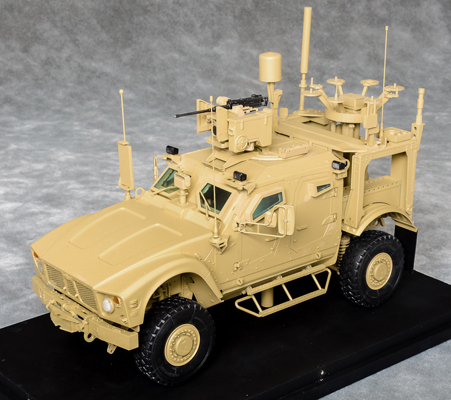 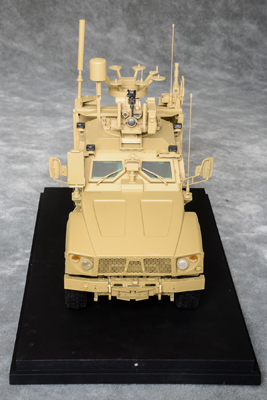 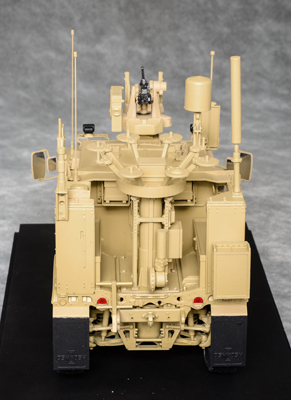 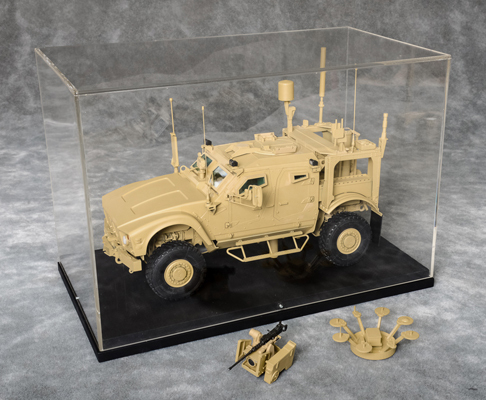 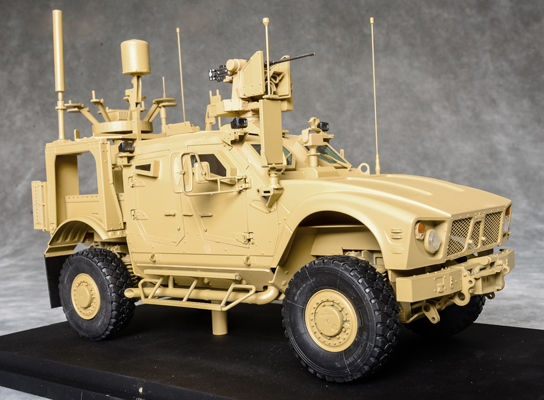 This is a 1:16 scale model of M-ATV MRAP vehicle, featuring a set of Electronic Equipment and a replica of the M153 "CROWS" Remote Weapon Station. 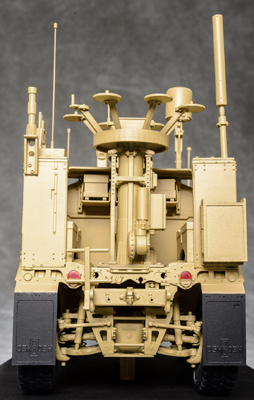 It is built for trade shows, exhibits and presentations and further promoting our line of trade show models in 1:16 scale. 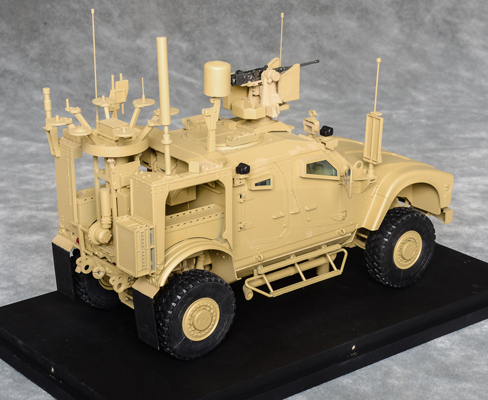 In order to reduce the model's cost we used a pre-fabricated replica of a base M-ATV, which we upgraded and reinforced so it could withstand a stress of often travels and handling. 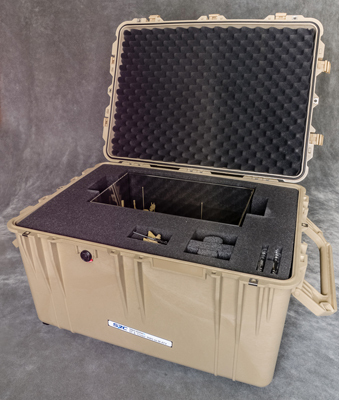 A standard cargo compartment was modified to accommodate the equipment. 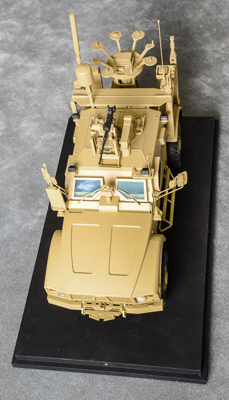 The equipment and the Weapon Station were designed in 3D software and produced by rapid prototyping out of increased durability plastics. 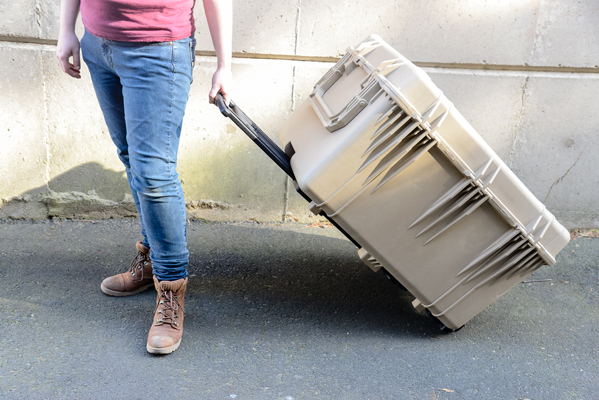 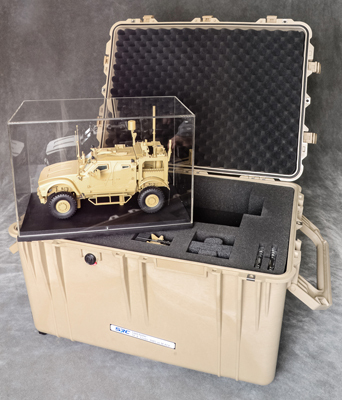 The model was assembled and finished manually, mounted on a black painted composite base with a clear protective cover and packed in a military grade Pelican transit case with a customized foam lining.